Alex: TBA — very soon!! Sam: TBA — also very soon!! Continuing some of the themes & characters seen in our short film All Bad Things… this will chronicle the continuing adventures of paranormal investigator ALEX GRIMWOOD, and her new sidekick and number one fan, Sam. 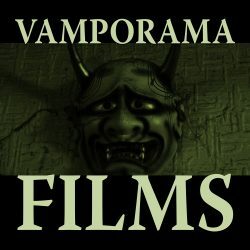 Currently in pre-production and still at the final casting stage, we are working on a full 30-minute pilot episode entitled “Dark Exorcism”. Preliminary work on a second script, “The Cartwright Affair”, is also in progress. Initial screentests took pace at the Victoria Pub, Birmingham. Photographs show actors Kelley Costigan and Liam Woon running through a scene from “Dark Exorcism”.